Few animated films have had the impact of Hayao Miyazaki’s Princess Mononoke. When it was first released in Japan in 1997, it became the highest-grossing film in Japan’s history at the time (it later lost that title to Titanic and, ultimately, to Miyazaki’s own Spirited Away). It won a number of awards, many of which were normally reserved for live-action films, and became a landmark animated feature not only to its native Japan, but for the entire world. An interesting note about Princess Mononoke is that it is a reimagining of Hayao Miyazaki’s own Nausicaa of the Valley of the Wind, with many narrative and thematic similarities. Though excellent Nausicaa may have been, Princess Mononoke polishes Miyazaki’s classic tale and gives it a fresh coat of paint with a different setting and even more fleshed-out characters. While Nausicaa took place in a postapocalyptic future, Princess Mononoke sets the clock backwards to an alternate, ancient Japan. The hero here is Ashitaka, a prince of a long-forgotten tribe bearing a curse in his arm, a result of an encounter with a demon. It turns out that the demon was actually a boar god, and that his hatred and rage devolved him into the hideous demon. Ashitaka’s curse threatens to slowly take his life, so he leaves his village and journeys to the west from where the boar god originated, in hopes of finding a cure for his curse. An even bigger plot unfolds, however, as Ashitaka’s journey places him in the midst of a war between the humans of Iron Town, and the animal gods of the forest. The forest is home to a benign deity, a Deer God, whose presence allows the other gods of the forest to thrive. The forest is also home to a tribe of wolf gods, who have adopted a young human woman, San (the titular “Princess Mononoke”) as their own. Iron Town is ruled over by Lady Eboshi, a strong and fearless woman who wishes to destroy the forest so that her people and industry can thrive. A third-party in the scuffle comes in the form of Jiko, a monk who is willing to ally with Eboshi in a quest to retrieve the head of the Deer God. San has sworn to kill Eboshi, and the animals of the forest wish to destroy Iron Town and the human civilizations as much as Eboshi wishes to remove the forest. This is where Princess Mononoke becomes something special, because while the “man vs. nature” setup may actually be a rather tame storyline for a Miyazaki feature, the character depth and dimensions make it so much more than any other film in the genre. While movies like Avatar have an almost cartoonishly black-and-white depiction of the struggle between man and nature (trees good, humans bad! 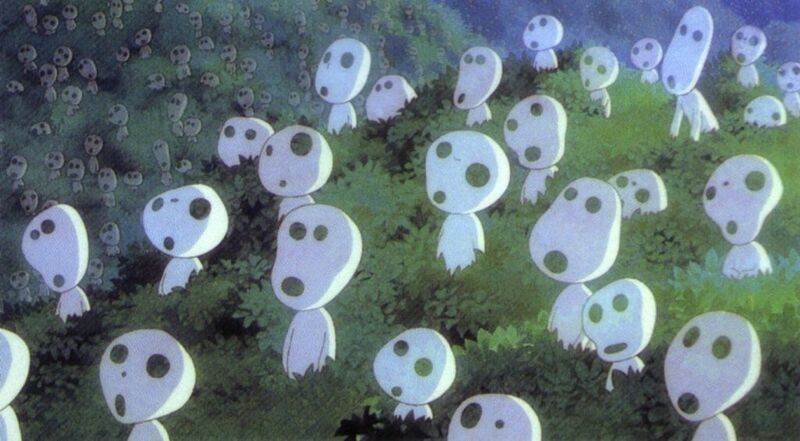 ), in Princess Mononoke, there is good and bad to be found everywhere. San, for example, isn’t simply a nature-loving princess, but a proud warrior who wants to defend her home, while also becoming dangerously hellbent on revenge because of it. 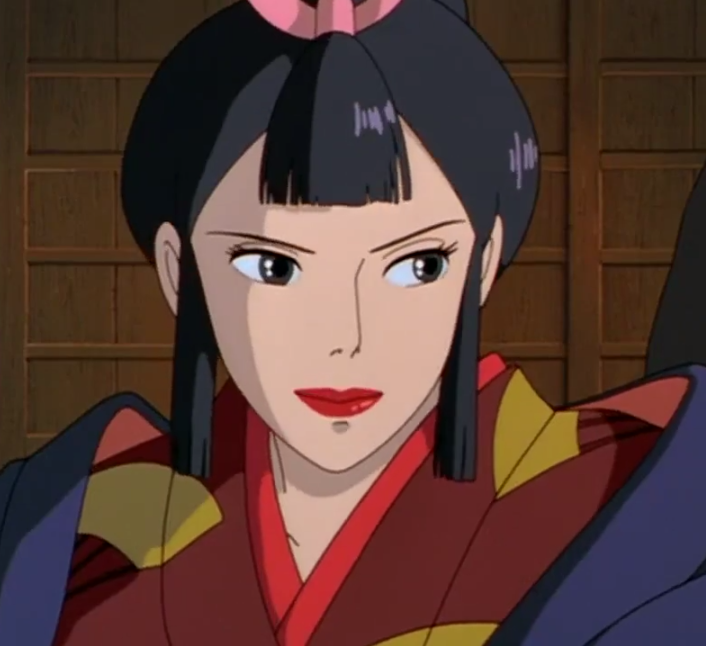 Lady Eboshi – arguably the heart and soul of the film’s depth – is probably the most moral character in the film. While so many environmentalist fables depict industry as a faceless evil, Eboshi is a kind, compassionate individual who rescues women from prostitution and personally cares for lepers. Miyazaki’s antagonists rarely exhibit blatantly evil attributes, and Eboshi is one of the great director’s best creations. Even Jiko, with his Wario-esque appearance and seemingly sinister motives, is just a man trying to find his way through life. Ashitaka of course is at the center of it all, trying to maintain peace between the roaring factions. He may seem similarly simplistic to Nausicaa – at least when compared to the more complex characters around him – but like Nausicaa, he works for the narrative at hand. Admittedly, the similarities to Nausicaa are more than a few. Not only do the plot and themes reflect those of Nausicaa in many respects, but even the characters and settings can be seen as reworkings of Miyazaki’s previous film. Ashitaka fills Nausicaa’s role, while San plays the part of Prince Asbel. Lady Eboshi stands in for Princess Kushana, while Jiko works as a more cynical Kuratowa. You could even argue that Nausicaa’s Toxic Jungle has been swapped for the forest, with the boars and wolves filling the roles of Nausicaa’s giant insects. Even the Deer God’s transformation into the Nightwalker – a colossal, blob-like apparition that is one of the great visual spectacles of animated cinema – is something akin to the God Warrior of Nausicaa. I must repeat that Princess Mononoke was created as a remake of Nausicaa, so it’s understandable that the similarities are there. Still, said similarities do arguably make Mononoke the least original Miyazaki film from a narrative perspective. With that said, it should also be repeated that Miyazaki did a better job at fleshing out the characters here, which is no small feat, considering Nausicaa already boasted a rather complex cast. Likewise, the themes here are also further delved into (Mononoke is arguably more about the destructive nature of hatred and rage itself, than it is about man and nature fighting each other). So the similarities to Nausicaa are ultimately a minimal gripe. 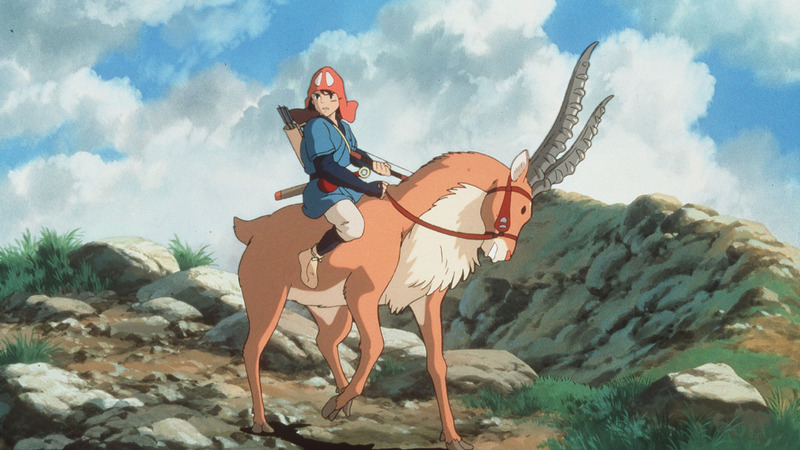 Princess Mononoke also saw a solid dub hit Stateside in 1999. 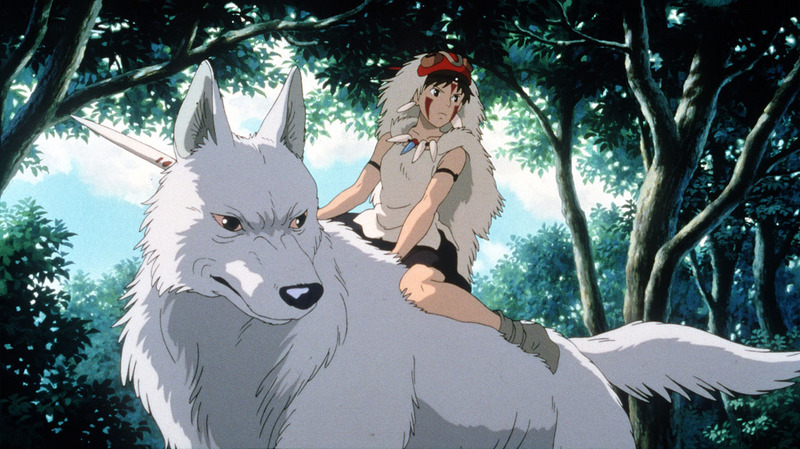 Though it may fall short of the later dubbing work for Ghibli films provided by Disney and Pixar, Princess Mononoke’s dub is still a great alternative to the original Japanese track, and features Billy Crudup, Claire Danes, Minnie Driver and Billy Bob Thorton as Ashitaka, San, Eboshi and Jiko, respectively. Another highlight to Princess Mononoke, like any Miyazaki film, is the animation itself. Princess Mononoke ranks as one of the most beautifully animated films ever made. 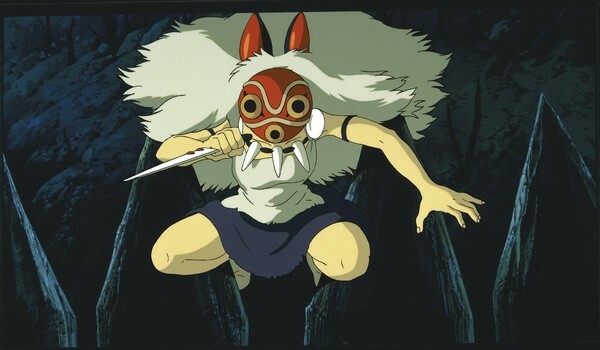 At the time of its release, Mononoke was the most expensive animated film of all time, and it shows. There’s a painstaking attention to detail in every movement, and the environments are some of the most breathtakingly beautiful of any animated feature. There’s a strong sense of variety in the character designs, and the beasts and demons are all sights to behold. Every Miyazaki film is a visual feast, but Mononoke raised the bar with a visual sheen that would then become the standard for Miyazaki’s subsequent films. Then there’s the musical score, composed by Miyazaki mainstay Joe Hisaishi. While all of Hisaishi’s scores for Miyazaki’s films are strong enough that it’s hard to pick out a best of the bunch, Princess Mononoke’s score is certainly a strong contender for that title (though it falls slightly short of a couple others, in my personal opinion). It’s a simply captivating soundtrack. Just like every Hayao Miyazaki film (except, perhaps, Howl’s Moving Castle), the profoundly pleasing visual and audio qualities are only secondary to the story and characters of Princess Mononoke. While it may not have the originality of the director’s other works in terms of structure, the depth and complexity (not to mention the imagination) at hand are up there with any of his films. Princess Mononoke remains a classic of animated cinema. Its memorable, detailed characters, stunning animation and soundtrack, and compelling story and action sequences make it an absolute landmark in the world of animation. Since the early 2000s, more and more film award shows and committees have been introducing awards for animated films. The Oscars now have the Academy Award for Best Animated Feature, an award which was later replicated by the Golden Globes, the BAFTAs and the Japan Academy Prize (Japanese Academy Awards). The up side to this is that it finally gives these award shows the opportunity to acknowledge animated features, which have been notoriously ignored in the past. The downside is that these awards often come as something of a token, as animated films are rarely even nominated for any other awards on these shows (lest they be for music or songs), despite whatever critical acclaim and admiration these animated films have received. But every once in a while, the people behind some of these awards manage to overcome their biases, and there are some animated films that have actually won Best Picture awards and the like from some award presentations. I’ve given up hoping that the Oscars will some day crown an animated film with their top prize – considering only three animated films have ever been nominated for it (already a bit iffy), and that none of them were taken seriously as contenders – but that doesn’t mean others haven’t acknowledged the merits and timeless appeal of animated movies. The following is a short list of some of the animated films that proved they could not only go toe-to-toe with live-action films at award shows, but even overcome their competition. Keep in mind that this is merely a short list of examples. I’m mainly focusing on the animated films that won the big awards at more prominent award shows, so there are probably a few others I’m missing. I’m also not including various critic awards, since it’s been long-established that critics enjoy animated films just fine, but award committees are tougher to win over. So without further rambling, here are some of the exceptional animated films that overcame the odds, and won Best Picture awards that are usually reserved for live-action films. Hayao Miyazaki’s tale about two girls who meet a magical forest spirit is one of the most beloved Japanese films of all time. It is also the earliest animated film I can think of that nabbed a Best Picture award over live-action competition, winning the Mainichi Film Award for Best Film. What makes this win all the more notable is that the Mainichi Film Awards already had a long-established animation award (they now have two, the older of which now going to smaller features and the newer going to big budget animations). Totoro won their animation award, and then went on to win the big prize as well. Well deserved. 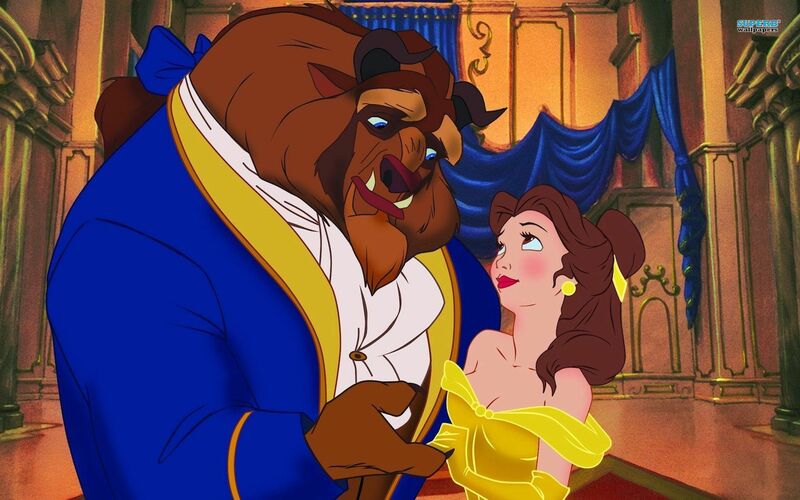 While Disney’s Beauty and the Beast was the first animated film to be nominated for the Academy Award for Best Picture, it became the first animated film to win the big prize at the Golden Globes. Beauty and the Beast remains one of Disney’s most charming features, and with a wonderful soundtrack to boot. How could it not win the musical category? I may not be the biggest fan of The Lion King, but no doubt the film has a very strong appeal to many viewers, as is evidenced by its repeating of Beauty and the Beast’s win for the Golden Globe Award for Best Picture. 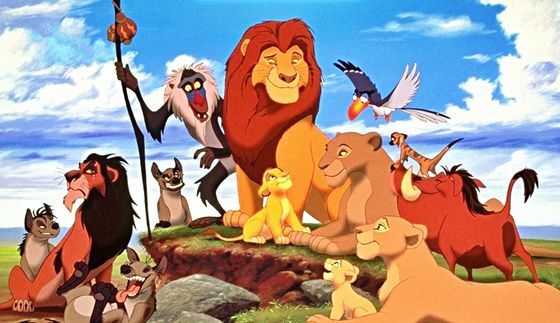 It was the highest-grossing animated film ever at the time, and its Golden Globe win only capped off its success. Hayao Miyazaki once again created magic when he released Princess Mononoke in 1997, which briefly became the highest-grossing film in Japan’s history (it still ranks in the top 10). It also became the first animated film to be nominated for and win Best Picture at the Japanese Academy Awards. It then became the second animated film to win the Mainichi Film Award’s top honor (also claiming its animation award). 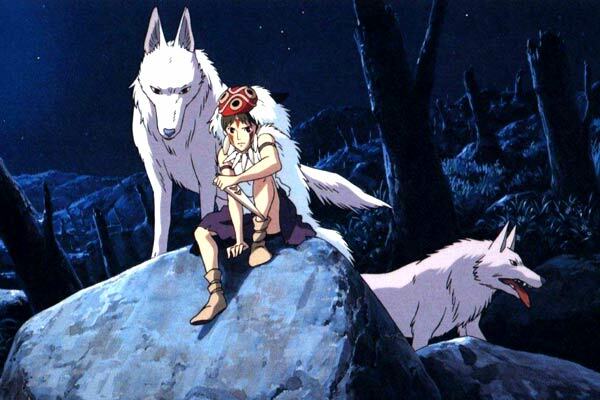 Princess Mononoke was a landmark animated film at the box office and in acclaim. The third animated film to win the Golden Globe for Best Picture is also, sadly, the last. 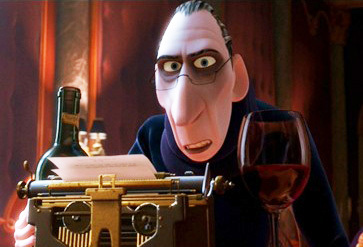 Shrek, Finding Nemo and The Incredibles would all get nominations, but after the Golden Globes established their Best Animated Feature category, their rules state that any films nominated in the animation category are ineligible for either of the Best Picture awards (the least they could have done was named the newer award “Best Picture – Animated“). But at least this trend went out on a high note, as Toy Story 2 is one of Pixar’s best. Hayao Miyazaki’s masterpiece, Spirited Away, remains the highest-grossing film in Japanese history to this day. It also became the second animated film to be nominated for and win Best Picture at the Japanese Academy Awards (sadly, since the inception of the Japan Academy Prize’s Animation Award a few years later, no other animated film has been nominated for Best Picture). Spirited Away followed suit with Totoro and Mononoke by winning the Mainichi Film Award for Best Film (where it also won the Animation Award, Best Director for Miyazaki, and Best Music for Joe Hisaishi). Spirited Away also became the first (and only) animated film to win the big prize at the Berlin International Film Festival. This string of awards would culminate with the Oscar for Best Animated Feature, giving that award some depth and credibility in its early days. When it comes to animated films winning live-action movie awards, Spirited Away is the big dog in this league of animated all-stars. 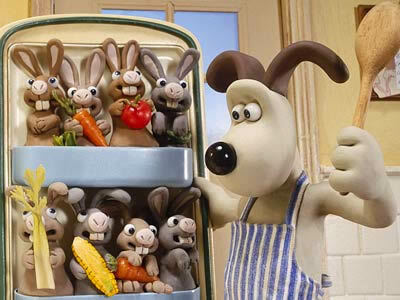 Given the huge popularity of the Wallace and Gromit characters, it still comes as a surprise to some that the duo have only starred in a small handful of short films and one feature film. But that one feature film is the only animated movie to win the BAFTA award for Best British Film. Not bad for an absentminded inventor and his mute dog. Frozen has taken over the world (and rightfully so, it’s so lovable), becoming the most successful animated film ever made, and winning numerous awards for Animated Features and for its music. But Frozen’s impact has undoubtedly been biggest in Japan, where it ranks as one of the country’s highest-grossing movies (it was the first film since Spirited Away that actually contested Miyazaki’s box office champ). 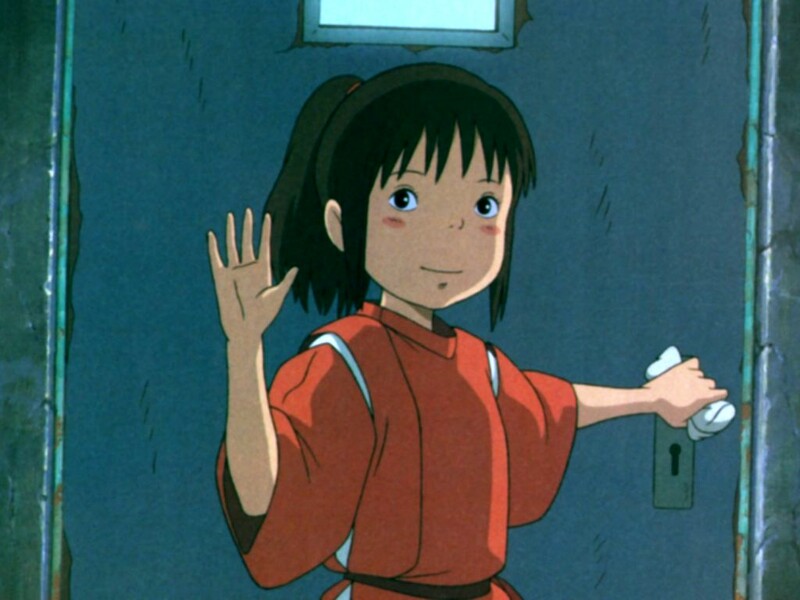 It broke all home video records in Japan (overtaking Spirited Away in this instance), and it has etched its way into Japanese popular culture. 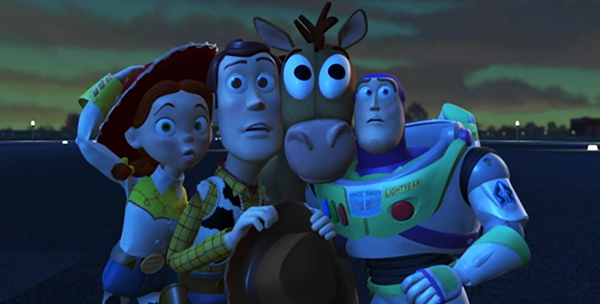 It shouldn’t be too surprising then that it also became the first animated film to win the Japanese Academy Award for Best Foreign Film (previously, Toy Story 3 was the only other animated nominee in the award’s history). The Oscars apparently couldn’t get over themselves and give Frozen a Best Picture mention, but the Japanese Academy Awards made up for it by acknowledging the film’s unprecedented appeal. Animated films are often just as remembered for their villains as hey are their heroes. Disney alone has created so many colorful personalities with their villains that they’ve made an entire franchise out of them. Animated villains can be scary and wicked, which prevents a good deal of animated films from being too sugar-coated. But oftentimes, the best animated villains are the ones who aren’t evil, and are instead more emotionally complex, misunderstood, or are simply people with conflicting interests to the heroes’. Sometimes, the best villains aren’t ‘villains’ at all. But, due to their role in their respective film’s narrative, they can still be considered antagonists.